Regardless of whether or not you’re looking to upgrade your home water heater system, your RV water heater system, or just hoping to add a tankless water heater to your new construction project makes little difference – you’re going to want to consider moving forward with an EccoTemp tankless water heater. One of the most trusted names in the industry, it is easy to see why so many people have written glowingly positive EccoTemp tankless water heater reviews in the past (and continue to write these incredibly positive reviews today). Just about everything that these pieces of equipment bring to the table is impressive, and more so when stacked up against competing options. You’d honestly have to be at least a little bit crazy to move forward with a tankless water heater that wasn’t produced by EccoTemp. All of the tankless water heaters produced by this company are protected by a full and complete lifetime warranty. Provided that the tankless water heater purchased from this company was properly installed according to the installation and operation instructions from EccoTemp, these pieces of equipment are guaranteed to be free of material and workmanship defect for the lifetime of that unit. There’s just one other stipulation that individuals will need to be aware of to take advantage of this protection. This lifetime warranty is only good for EccoTemp tankless water heaters that remain in the original installation site that they were first installed in. Every one of the EccoTemp tankless water heater reviews out there makes mention of the advanced technology and top level craftsmanship that these particular pieces of equipment bring to the table. Produced out of the highest quality construction materials available (lightweight, durable, and very strong and long-lasting materials), these tankless water heaters use cutting edge and efficient technology to produce “instant on” hot water whenever needed – without breaking your bank account in the process. On top of that, all of these tankless water heaters come with digital read thermometers, easy to manipulate controls systems, and self-diagnostic hardware that allows you to understand everything about your tankless water heater (especially when it comes to repairs and maintenance). Few other options on the market can rival these benefits. You aren’t ever going to have to worry about running out of hot water when you move forward with one of these units. 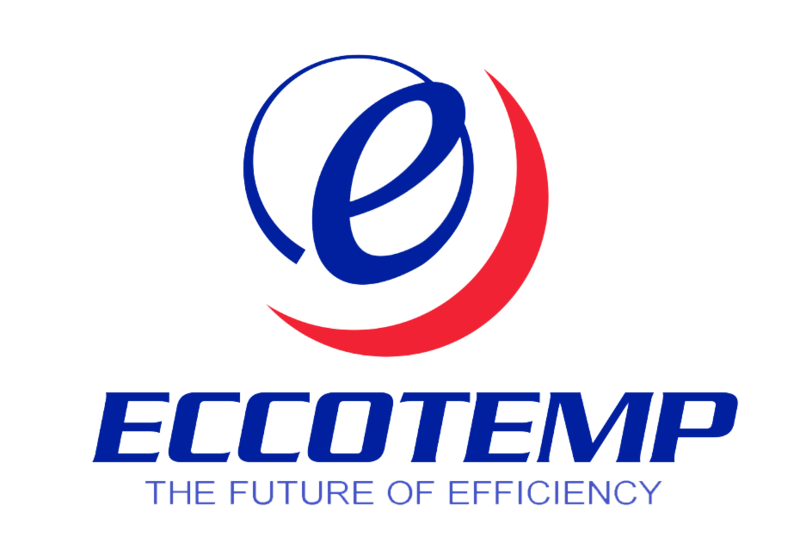 Almost all reviews of EccoTemp out there make mention of the fact that you’ll be able to immediately turn on your hot water tap and let it run for hours and hours, and you’ll never have to concern yourself with running out of hot water. This is thanks to the efficient heating elements used throughout the tankless water heaters this company produces. Some of them are considerably more efficient than others (especially the larger residential style models), but all of the products from this company will be able to get the job done. You won’t have to imagine what it’s like to never run out of hot water again when you go with one of these. Even the larger models of the EccoTemp tankless water heater solutions are still quite compact, and just about all of them can be effortlessly mounted to a wall or vertical space to save room. Flexible enough and compact enough to be installed in a variety of different applications, the other beautiful thing about these water heaters is that they’re completely adaptable with currently existing plumbing systems and setups. This means that the installation of these new units should be simple and straightforward, and won’t require you having to pay a fortune to have a plumber come in and set everything up for you. Sure, you’ll probably want to turn this kind of project over to a professional to make sure that it’s done the right way, but they aren’t going to have to re-plumb your home just to install this new efficient tankless water heater.